Cotton and polyester surplice with handmade edges. 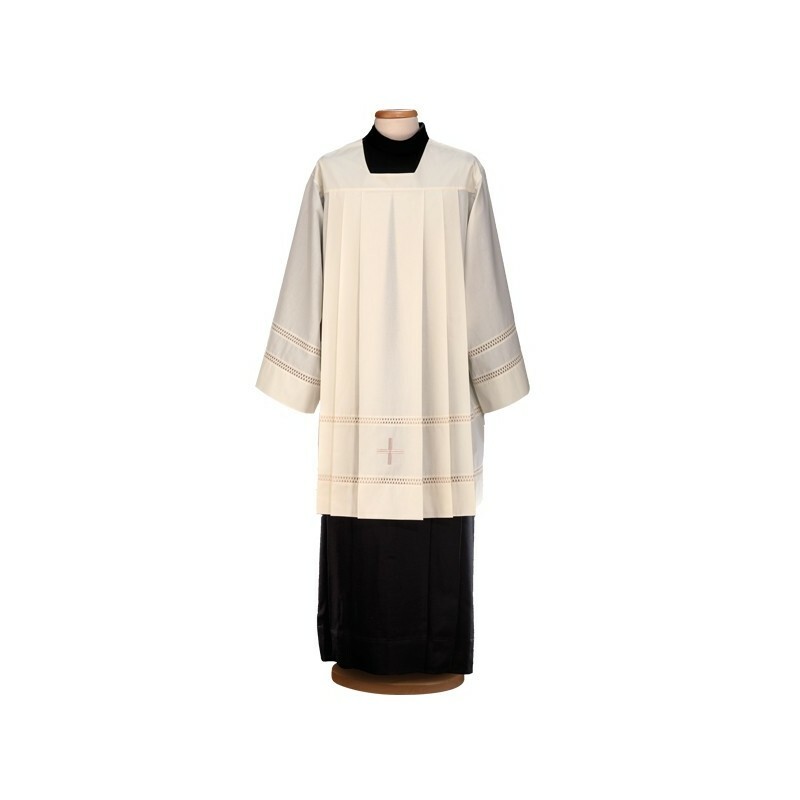 Polyester and cotton surplice with cross embroidery and introdot. Available of various sizes. 95 CM. 100 CM. 105 CM. 110 CM. 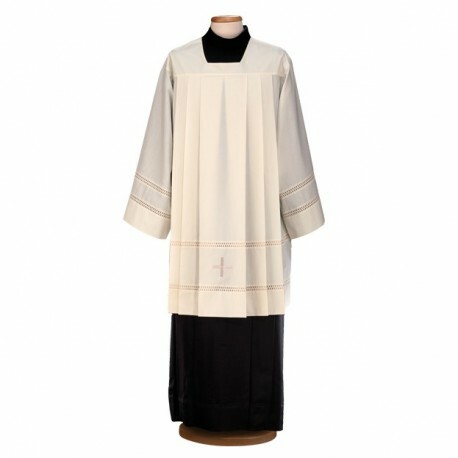 Polyester and cotton surplice with cross embroidery and introdot. Available of various sizes. Cm. 95/100/105/110. Made in Italy.